I love this time of year. This time right now where hope springs eternal and every fan calculates what it will take for their club to win it all. I can remember back to the truly horrendous days of Steve Jeltz, Don Carmen, Steve Searcy, Dale Sveum, Ricky Jordan, Juan Bell, Braulio Castillo, etc. 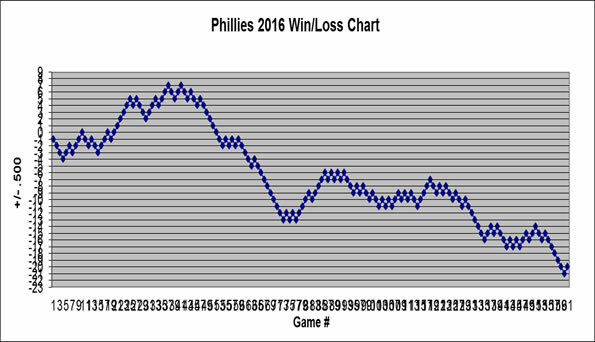 from the 90’s thinking if this happened and that happened, the Phils would actually have a chance. Hey, it worked in 1993 didn't it? Ahh, the long list of what-if's to make the Phillies a champion. ...if Roy Halladay has anything at all left in the tank. ...if Ryan Howard can return to his old form. ...if Chase Utley's legs don't fall off. ...if Domonic Brown’s spring is indicative of his true potential. ...if Kratz can tread water until Chooch returns. ...if Ruiz can hit without his meds. ...if Michael Young can hold his own at third and hit a little, too. ...if Mike Adams isn’t damaged goods. ...if the young Phillies relievers can make a difference. The what-if's are the beauty of Opening Day, a day in which the Nationals are tied with the Astros for the best record in baseball. Five months, 27 days, and three hours is now down to less than 24 hours.